Sometimes the simplest of concepts or steps can be tough to do because they require some thinking and some effort. Yet, your think time and effort are an investment in your future and happiness, which make it all very worthwhile. As with all efforts, you must be clear about your direction when you create your own career development plan. You don’t take a road trip without knowing where you want to end up. You also don’t need to overly complicate this task. I think the following questions are helpful in thinking out your destination. I like this question because this window is close enough to your current reality that it is easy to visualize. Don’t make a goal just for the sake of making one. You need a goal that really rings your chimes and helps to motivate you into action. If you’re making a goal based on what someone else wants, it also isn’t going to be that compelling for you. Being clear on your direction means being clear that this direction is inspiring and motivational and knowing what is driving you to it. Using a job posting or job description for the position you are aiming at is a good way to get specific information about the skills and experience that are expected. I think it is good to get more than one job description (perhaps one with your company and one with a competitor) in order to ensure you aren’t missing any key items during your analysis. Go through the job description line item by line item and rate your current state of skills, education, or experience to what is listed. Your rating system can be as simple as 1-10, with ten a perfect match and one being completely missing. As you rate, make notes about your thinking for future reference. Once you have completed this exercise, identify all of the items where there is anywhere from a fair amount to a substantial amount of development that is needed. Look for commonalities and clump those together as a category. You will discover that there will be themes to your gaps. Also, don’t get too compulsive about where you don’t think you’re a perfect match but think you have fairly developed skills. If they are mostly present, they will make you a competitive candidate and shouldn’t require too much development attention. You now have a list of development items. You are now fully armed with a clear two-year goal and all the details of where and what you need to develop to get you where you want to go. Your plan will be best if you can consult with your boss and/or a mentor to help you with ideas of how to get the skills you need to add. There may need to be some logical order to a few of the items on your list. Sometimes you need to do X before you can do Y. Make these among the highest priority items so you can accomplish these things and move on to others. Usually there are multiple ways of accumulating the needed skills. You may also want to have multiple ways of beefing up your skill set to add depth to it. An example is if you want to move to a project management position, you may want to get certification and also to ask for project responsibilities. Initially, these may be small, which are fine; they will give you an opportunity to grow and learn. You need dates. You need to keep yourself accountable to your plan; and the best way to do that is to give yourself a “start by” date. You can’t predict how long or how much work you will have to do in order to develop the skill at the level you need, but you do have control over the action you take to get started. Keep track. 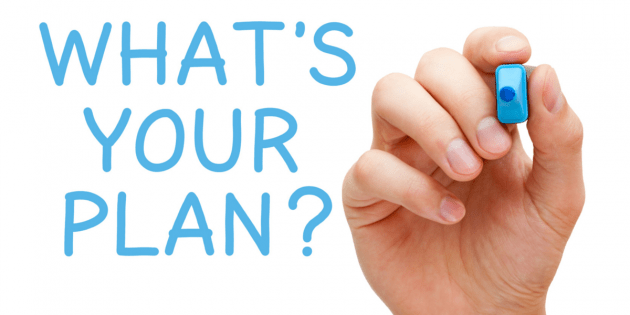 You need to pay attention to your plan a minimum of twice per year. This will allow you to stay focused on your progress and remind you of next steps.